Strange goings on at the China Food and Drug Administration. The top leaders past and present are facing public criticism for alleged corruption around the national pharmacopeia. There is a possibility that this bizarre case is a veiled way for the Xi Jinping administration to remove a senior official. There again, it might all be true. The allegations relate to changes made to the official classification of the herbal remedy honeysuckle to favour producers in the Shandong hometown region of Shao Mingli, who recently stood down as FDA director. The claims are being made by an obscure provincial Party official from Hunan, who posted on his Weibo account that former FDA director amended the Chinese Pharmacopoeia to favour the use honeysuckle from his hometown area of north China, which resulted in south China producers losing business. According to Shanghai Daily, the minor official, who is a member of the local disciplinary committee, says he has gone public because his private complaints were ignored. He claims the Pharmacopoeia Commission under the control of Shao Mingli changed the official terminology so that only plants from Shandong Province, where Shao comes from, could be used in herbal remedies. The 'whistleblower' says he simply wants to see southern honeysuckle restored to official status so that southern China growers could resume their business. However, as well as calling Shao Mingli 'the major culprit', the official has also implicated other senior FDA officials and has called for the current director of the FDA, Zhang Yong, to step down as he has been obstructive and failed to act on the concerns of officials in southern Chinese provinces. This might all be taken as a minor business dispute but for the fact that reports of the claims are being reportedly prominently in official media. If the whistleblower's claims are accepted as true this would lead to a major purge of the FDA leadership. And as you may know, this isn't the first time that the leadership of the China FDA have been in serious trouble. 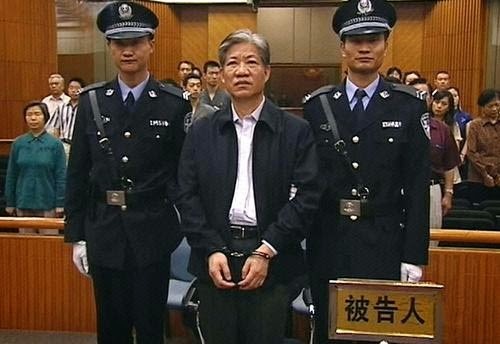 The accused Shao Mingli's predecessor Zheng Xiaoyu was executed in 2007 after being found guilty of accepting bribes in return for listing medicines. According to the official FDA website, the current director Zhang Yong has addressed the claims and made a report to the Party Central Commission for Discipline Inspection. Is this a sign of China's greater openness and accountability? Or is it a Machiavellian way for the new Xi Jinping leadership to take out the leadership of the national drug regulator and replace them with their own people? I doubt that anyone will face the firing squad this time. Some powerful FDA figures may lose their positions, or this may simply be a way of putting them on notice and showing them who is the boss. It may all come to nothing. Whichever is true, it seem that being head of the FDA in China is a very dangerous career move.